Snowmobiling in Sisimiut, West Greenland with Arne Hadenberg and his friends. Great terrain, amazing mountains and landscapes, great people and lots of fun. Christa, his brother and a friend. They taught me how to do donuts with the machine. 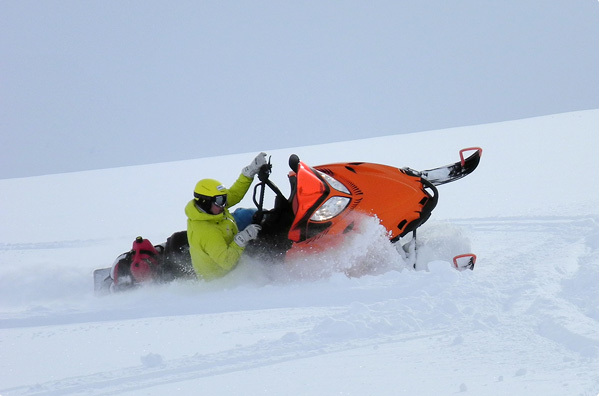 Arne, a former ski racer from Greenland, turning with his snowmobile now and working as THE heliski guide.